This photo was yet another effort where, without my tripod, I had to hold my camera as steadily as possible. Not all my attempts were successful, but photographs of Elgin’s lights with a bit of camera wobble thrown in produced some interesting results. On our second evening our host called us out. “Come and look at this!” he said. “It’s a clear night and you can see the Milky Way”. We went into the garden and gazed upwards in awe at the millions upon millions of stars above us. Through the centre of the sky the concentration of the stars was so great that it formed a faintly milky sweeping arm of light. 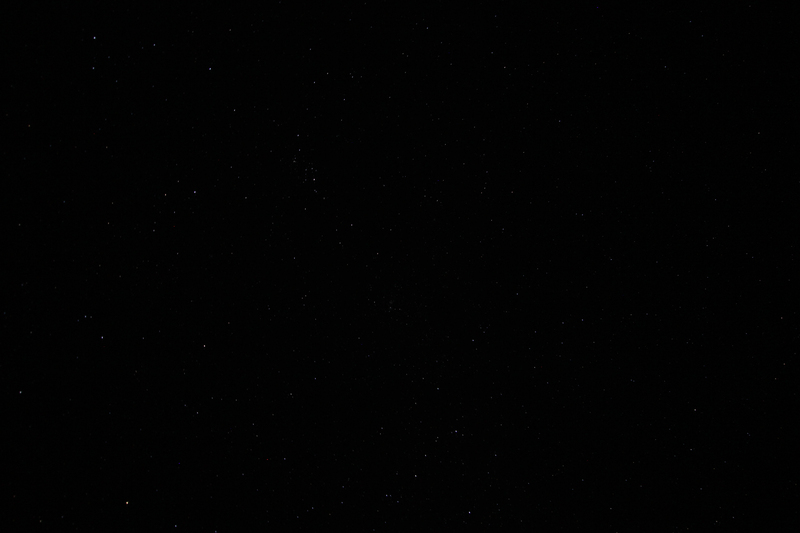 I ran in to fetch my camera, spending the next 30 minutes trying in vain to get a shot of all those stars. It was impossible. I had no tripod, and in addition I was having problems focussing. The best picture I was able to take shows nothing of the truly amazing sky that night. Can you see much? Even if you can, it is not enough. Click on the photo to make it full size; turn the lights off; gaze at it and you may see little pinpricks of light start to emerge that you didn’t notice before. 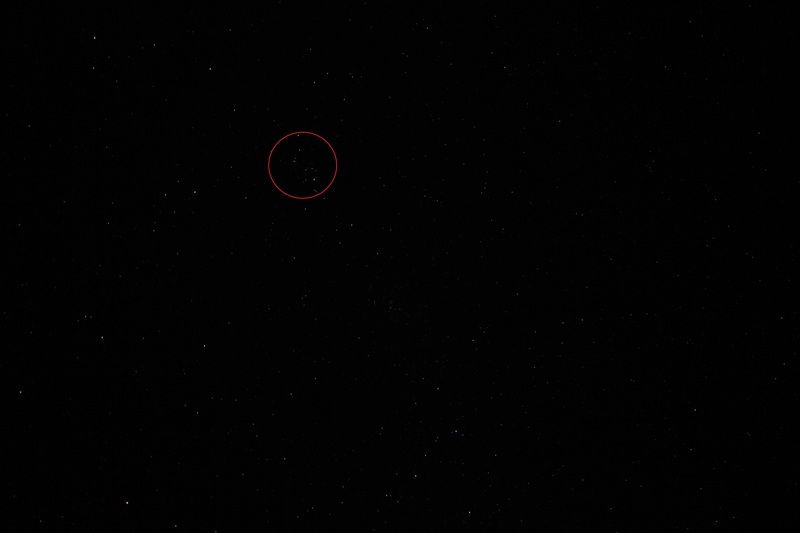 Even then, this is only a faint hint of what I saw that night. 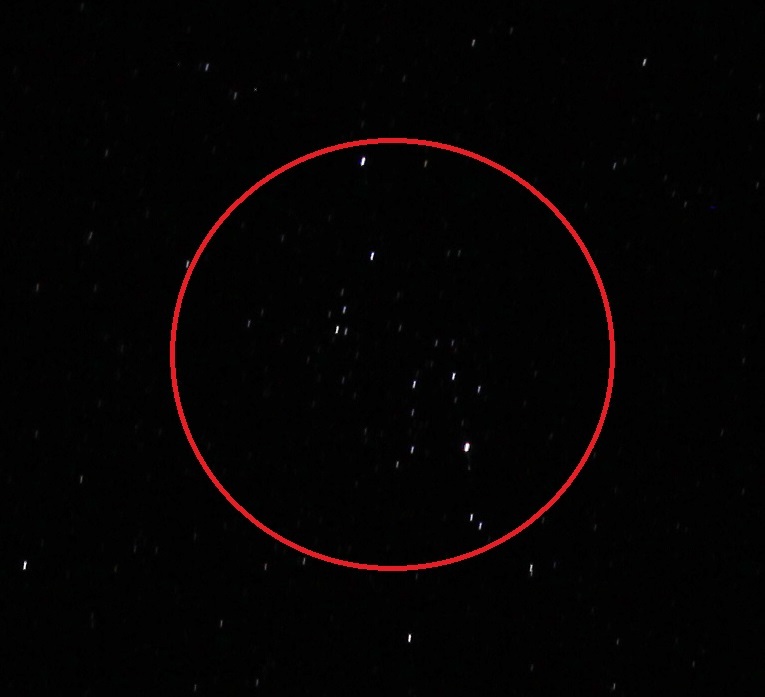 Here is the same photograph, but with a small section of the sky circled. Here is a close-up of what was inside that circle. 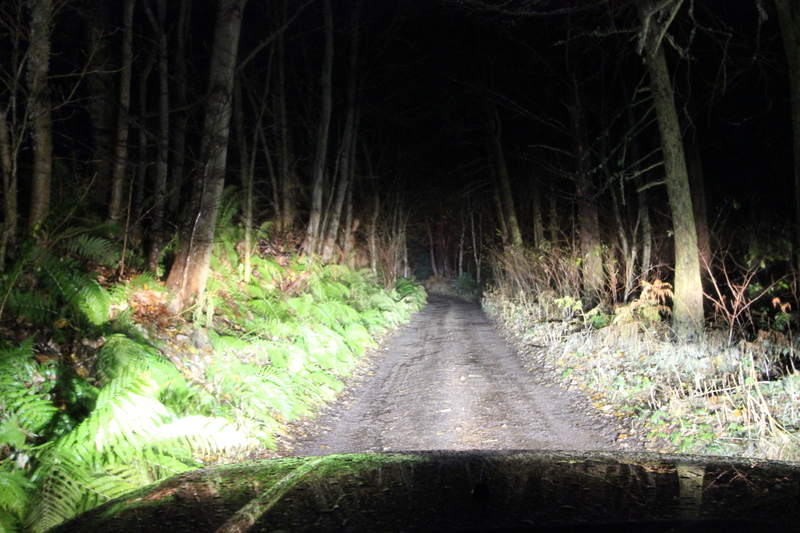 Can you now see the faint dots of light, slightly elongated by the shake of my hand as I took the photo? I could see each one of these stars as clear, bright, piercingly sharp pricks of light in the night sky, and I could see many more besides. I have done the best I can to try and describe the sky that night. No photograph, however, can reveal what I saw. For anyone that wants to experience a sky like this there is only one thing that can be done – get up to the middle of nowhere on a clear night, take a deep breath, and look up! 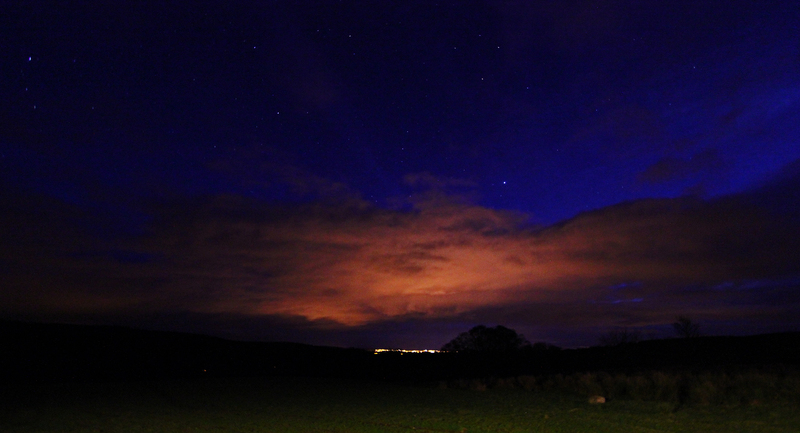 This entry was posted in Scotland and tagged night sky, photography, Pluscarden, Scotland, sky, stars, travel. Bookmark the permalink. great pictures! nice opportunity too, to clean the dust off my screen. then i could see them! I’ve had a few people come up to me to say they could see the stars UNTIL they wiped the dust off, at which point all the stars disappeared! I’m glad it was the other way round for you!! !